Hello and welcome to Raring2go! 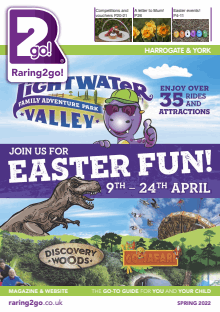 - your local guide for what to do and where to go with your children in the Harrogate, York and surrounding areas. You can also follow us on Facebook or Twitter for hot-off-the-press updates and information on our favourite local events, competitions and offers for local families, so to stay in touch just 'like' our page!